The Little Rock Winds presents its 25th Anniversary Season Concert with a program of wind band favorites selected from concerts of the past 25 years. 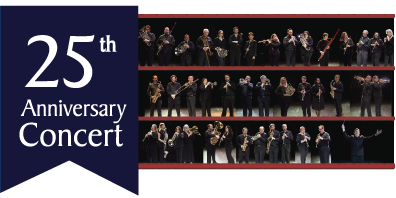 Each piece on the program holds special meaning for the members of the wind symphony and the audience is sure to enjoy this vibrant concert marking the 25th anniversary of the LR Winds first performance in 1994. Jackie Lamar, alto saxophone; Israel Getzov conducts. Will-Call or Print-at-Home ONLY - Free tickets will not be mailed.